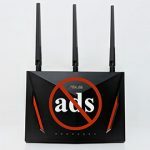 The Asus RT-AC86U and the WRT3200ACM are two relatively high-end routers, both being well regarded by a large portion of users, the former router being the successor to the popular dual band Asus RT-AC68U (featuring most of the new Second Wave 802.11ac features along with some gaming-related enhancements), while the latter is a bit older and at the time of its release (about two years ago), it was a bit unconventional with its support for contiguous 160 MHz bandwidth channels (not just the ‘usual’ 80+80MHz setup that we saw on the NETGEAR Nighthawk X4S R7800), its retro design and the promised support for OpenSource firmwares (as a pat on the back to any nostalgic user that previously had the Linksys WRT54G). 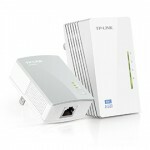 During its two years of existence, the WRT3200ACM has gone through multiple states, from a stable initial performance to multiple issues due to a very problematic firmware update which left deep marks inside the device and for about a year, the manufacturer has been struggling to make the higher-end WRT series to work again properly. Sure enough, after multiple updates, the router seems to have gotten better (although some issues still persist) and there have been some significant advancements with the OpenWRT custom firmware. The newer Asus RT-AC86U hasn’t been plagued by these types of issues and it has proven its value during its short period of existence (great overall wireless performance and a decent interface), while also being the first Asus router to support the AiMesh technology out-of-the-box, so considering that it aims at stealing the spotlight from the other popular wireless routers available, it’s worth giving a look at how the ASUS RT-AC86U behaves as opposed to the Linksys WRT3200ACM. 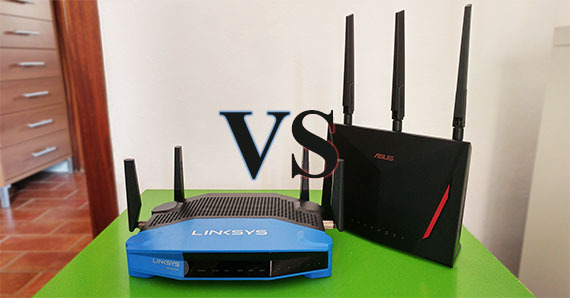 Note: You can also check the full review of the Asus RT-AC86U and the full review of the Linksys WRT3200ACM. Considering the fact that now the access to the Internet has become a necessity to a lot more people than a few years back (and the number is constantly increasing), it’s safe to assume that the wireless router has become a vital part of almost every home, so the manufacturers of networking devices have shifted their attention (now more than ever) towards the consumer market which led to a healthy competition and the access to powerful technologies which, for a long time, where within reach only to businesses due to the high cost – well, until Ubiquiti, Open Mesh, Mikrotik and other SMB-focused manufacturers took the fire from the Gods. But even before them, it was Linksys that has been a part of the shaping of the modern router due to its highly popular WRT54G which was one of the first open source router and this has allowed independent development and the porting of expensive features to the home network (well, that’s more thanks to Linux than Linksys, but that’s a story for another time). 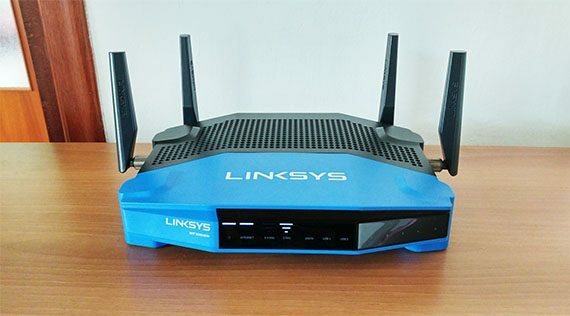 If you have a look at the Linksys WRT3200ACM, you’ll quickly realise that it has lots of design elements in common with the WRT54G and that is not a coincidence because Linksys has bet on the nostalgia card since the first Linksys WRT1900AC (the latest revision being the WRT1900ACS) and, apparently the retro look was welcomed by the users, so the manufacturer decided to stick with it for almost four years (yes, it includes even the latest WRT32X which has the same design as the WRT3200ACM, but it is completely black). 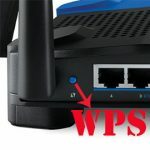 It’s easy to mistake one WRT router from the other and in all honesty, the WRT3200ACM is identical to the WRT1900ACS, both featuring a fairly large footprint (9.68 x 7.63 x 2.04 inches), a plastic case covered by a matte finish, half black, half blue (doesn’t retain fingerprints) and both have four antennas (two pointing from the back and two from the sides) along with four relatively tall feet. 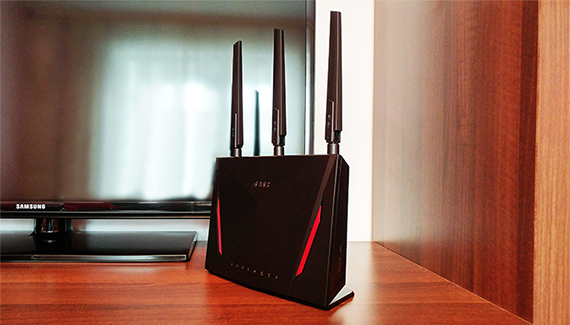 Despite being marketed as a gaming router, when put besides the WRT3200ACM, the Asus RT-AC68U does come out as the more discreet router (even with those two front red plastic strips), sporting the same size as its predecessor (the Asus RT-AC68U, which measures 8.6 x 6.3 x 3.2 inches) and it has also borrowed the vertical-only available position. 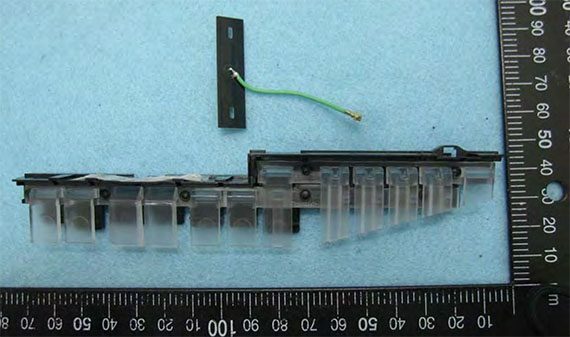 From the top, there are three antennas that point upwards and the rest of the case retains almost all elements of the RT-AC68U (especially the non-removable stand and button position), except on the front, where the case looks more angular and it lacks the diamond pattern, instead going for a soft-to-the-touch matte black finish. While the older RT-AC68U was usually running a bit warm, the engineers from Asus did an awesome job with the newer RT-AC86U which, despite the fact that it has a more potent internal hardware, it never overheated and the only spots where it got mildly warm was at the antenna connectors. Linksys also did everything it could in order to ensure that the WRT3200ACM doesn’t overheat: the bottom side and of the case and half of the top side are almost completely covered by small holes – despite that the router still has some hot spots on the bottom and it gets mildly warm all around the case. Just like the WRT54G, the Linksys WRT3200ACM has a glossy black section on the front where you can see the status LEDs: from the left, there’s the Power LED, the Internet LED, a couple of LED indicators for the 2.4GHz and 5GHz networks, the eSata LED, two LEDs for the USB ports (line and dot indicate that a USB 3.0 device has been connected, while just the line indicates that a USB 2.0 device is connected to the port), four LEDs for the four Ethernet ports (T and dot indicate a 1000Mbps connection, while just the T indicates a 10/100Mbps connection) and a WPS LED. I did notice that a lot of people have been complaining about the LEDs getting dimmer over time (I have not used it enough to experience this) so I opened the case and I saw that besides a series of decent LED indicators, there is an array of small LEDs which are ‘forced’ to reach the brightness level of the first set of LEDs and this does have a heavy impact on the life of these indicators (I don’t know why the engineers from Linksys chose to do things this way, but they did). The Asus RT-AC86U has its array of LED indicators placed on the lower front side: from the left, there’s the Power LED, the two LEDs for the 2.4 and 5GHz radios, the WAN LED and four LEDs for the Ethernet ports. On the rear side, immediately underneath the ventilation cut-outs, the RT-AC86U features a Power button along with the Power port, a USB 2.0 and a USB 3.0 port, a WAN port, a rectangular LED On/Off switch in the middle and four Gigabit Ethernet ports (there’s also a small Reset button hidden within the vent grills). Furthermore, on the left side, there’s a WPS button and a WiFi On/Off switch. 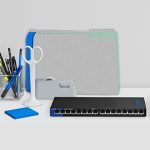 The Linksys WRT3200ACM has all its ports and buttons on the rear side: from the left, there’s a small WPS button, four Gigabit Ethernet ports, a WAN port, a USB 3.0 port, a USB 2.0 / eSATA combo port, a small Reset switch and the Power port. Verdict: The Asus RT-AC86U and the Linksys WRT3200ACM took the traditional design route, so neither is really suitable for the living-room (unlike the minimalist WiFi mesh systems), but this does not mean that these devices don’t have their appeal, especially the WRT3200ACM with its retro look. In terms of ports and LED indicators, both routers are pretty much equally equipped, but considering the problematic LED implementation on the WRT3200ACM and the fact that it runs a bit hot, the Asus RT-AC86U wins this round. 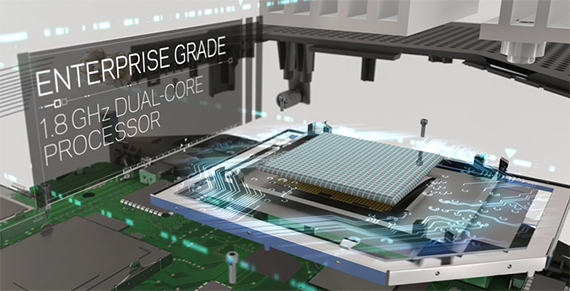 Asus decided to equip the RT-AC68U with a dual-core Broadcom BCM4906 chipset (clocked at 1.8GHz), 256 MB of flash memory (Macronix NAND) and 512 MB of RAM (Micron MT41K256M16TW). Furthermore, the 2.4Ghz radio band uses a Broadcom BCM4365E 3×3:3 SoC (802.11a/b/g/n), while the 5GHz radio uses a Broadcom BCM4366E 4×4:4 SoC (a/b/g/n/ac) – don’t be fooled by the three external antennas because the RT-AC86U also has an additional internal antenna. 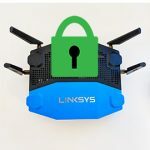 The Linksys WRT3200ACM comes with a dual-core Marvell Armada 88F6820 ARMv7 chipset (clocked at 1.8GHz), 256 MB of flash memory (SPANSION S34ML02G200TF100) and 512 MB of RAM (Micron DDR3). 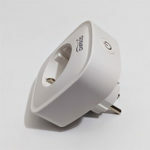 Additionally, the router also uses a couple of Marvell 88W8964-BTW2 4T4R 802.11a/b/g/n/ac chipsets for the 2.4GHz and the 5GHz radio bands (and I also did notice a Marvell 88W8887-NAA2 KMYRO chip). As you can see there is no difference between the Linksys WRT3200ACM and the newer WRT32X from the internal hardware point of view. 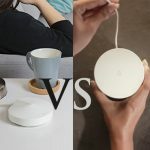 Note: Besides the WiFi connection, neither of the two routers has implemented IoT-related technologies, so you won’t be able to use either of them as a smart home hub (but, both are compatible with Amazon’s Alexa virtual assistant). 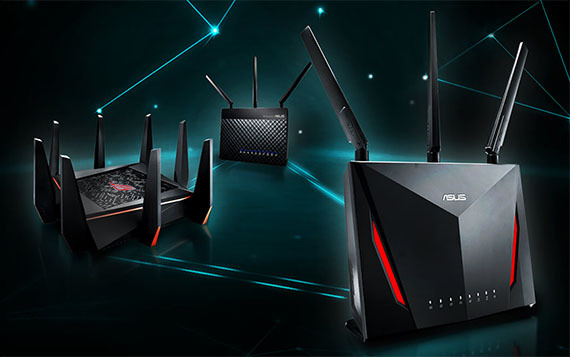 The Asus RT-AC86U is being marketed as an AC2900 class router, so it features a maximum theoretical data transfer rate of 2,167 Mbps using the 5GHz radio (only if the client has a wireless card adapter that supports 1024-QAM – the reason why Asus decided to release the PCE-AC88 a while back) and a maximum theoretical data transfer rate of 750 Mbps on the 2.4GHz radio band. 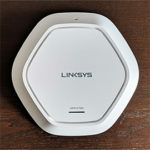 The Linksys WRT3200ACM is an AC3200 class router, so it features a maximum theoretical data transfer rate of 2,600 Mbps using the 5GHz radio band (only if the client has a wireless adapter that supports 160 MHz bandwidth – unlike Asus, Linksys did not release any type of adapter to support this technology, so you can mainly get the max performance if used with another router that supports this tech) and a maximum theoretical data transfer rate of 600 Mbps using the 2.4GHz radio band. Verdict: I was actually surprised to see how similarly equipped these two devices are, so this round ends in a tie, but I will keep an eye on how the Marvell 88F6820 chip behaves against the Broadcom BCM4906 (in the next section). I don’t think Linksys was entirely sure what was the right direction for the WRT series (a couple of years ago) and I do feel that the WRT3200ACM was a bit of an experiment (or proof of concept) considering that the main differentiating factor between it and the WRT1900ACS was the TRI-STREAM 160 technology. If the user has a device with a compatible WiFi adapter (the ones that I found to support 160 MHz channels are the Killer 1550 and the Intel 9260, but these are only dual-stream, so still another WRT3200ACM would deliver the maximum performance), then the TRI-STREAM 160 tech has the role of doubling the bandwidth of each of the three data streams up to 867 Mbps (that’s how you get that maximum theoretical rate of 2,600 Mbps advertised on the box). 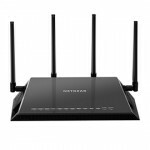 Be aware that you don’t mistake the tri-stream tech to the tri-band implementation, the latter referring to the routers or the WiFi systems that have an additional 5GHz radio to allow a higher number of client connections (the case with the ASUS RT-AC3200) and for a better backhaul traffic handling (the case with the Orbi, Velop or Lyra). The Asus RT-AC86U is on the opposite side because it feels like a very calculated product that came just at the right time to promote a new Asus technology (the AiMesh), so the manufacturer knew exactly the targeted demographic and that the people needed a budget-friendly higher-end router (although the RT-AC68U has been recycled as a functioning node within an AiMesh network, it still is at the end of its cycle and the RT-AC86U came just at the right time to replace it). 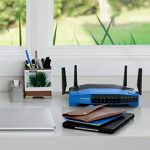 I’m sure you may have heard about the ever growing popularity of the WiFi systems (such as the Google WiFi, Eero or Netgear Orbi) and the reason for that is because unlike the single-unit traditional router, a WiFi system consists of multiple units which are spread across the house and using the mesh technology, these devices create a homogeneous network where the user can roam freely and leave no corner untouched by the WiFi. 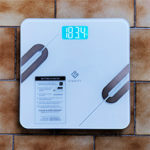 Asus has tried its hands on a dedicated mesh system (the Lyra), but it seems that it may have more success with its latest technology, the AiMesh which allows its users to recycle old routers and/or use new ones to create a mesh network. Depending on the used routers, you can create a dual-band, a tri-band or a mixed system, while the AiMesh will give you the benefits of a (proprietary) mesh network: depending on the number of clients, the signal strength, the distance between the nodes (and more), the network will automatically create optimized paths for the data and, in case a node goes offline, any nearby node that’s not overcrowded and can handle the load will take the place of the offline router, so the data will reach its destination safely (in case the user adds new nodes, the network will detect it and will allow the creation of new paths for the data). 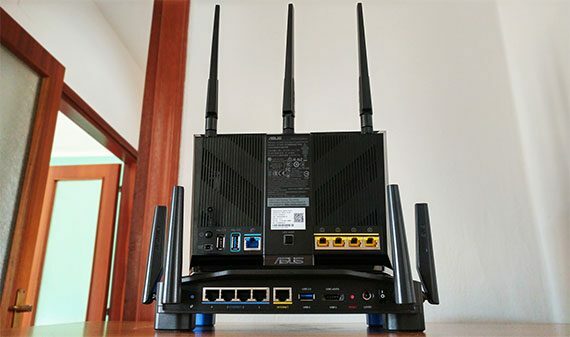 Furthermore, the Asus RT-AC86U shares some common features with the Linksys WRT3200ACM, such as the MU-MIMO technology which allows the simultaneous connection and serving of multiple clients at the same time, instead of relying on the older technique, where each client has to compete for the bandwidth.